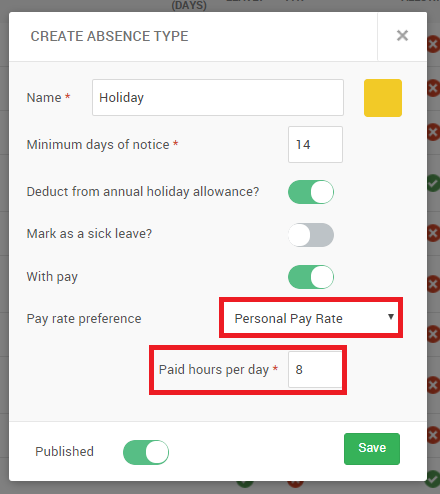 With PARiM 'Absence' module you can select which pay rate to use when creating an absence for an employee - personal rate, holiday rate or the general absence rate based on your company's needs. Set this up in the Absence Settings by clicking on an absence name and editing as needed. 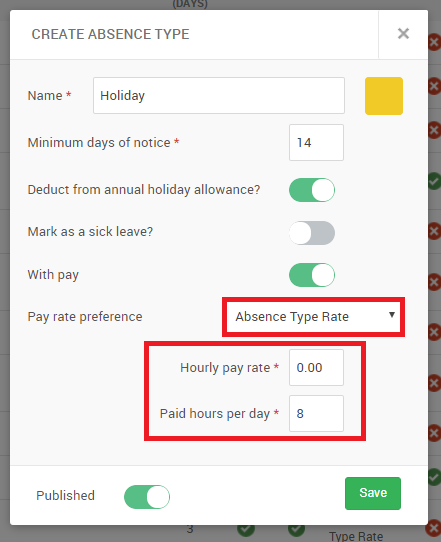 In order to choose a suitable pay rate for your absence type, please follow the path System Settings - Absence Settings - Add Type or click on an existing type. Please read in more detail about absence type rate, holiday allowance rate and personal pay rate from below. This rate should be used if the same general absence pay rate applies for all the people with this absence type. Rate is set within the Absence setting. This rate should be used if the individual allowance rate per person applies for the absence. 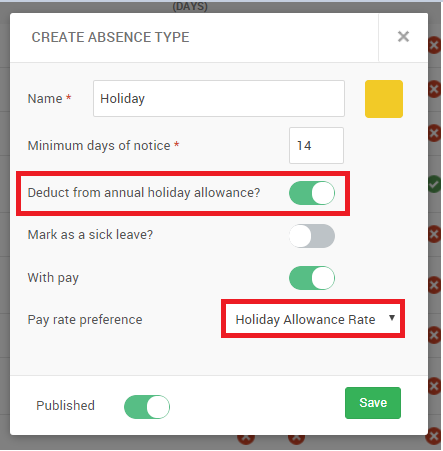 The rate is set within the 'Absence' settings on a person's profile and only applied for absence if 'Deduct from annual holiday allowance' is switched ON within absence setting. This rate should be used if the absence allowance pay rate has to match with the personal shift pay rate. The rate can be set within the 'Details' section on a person's profile.